Will I get 2.5% LikeCoin bonus from the token sale ? 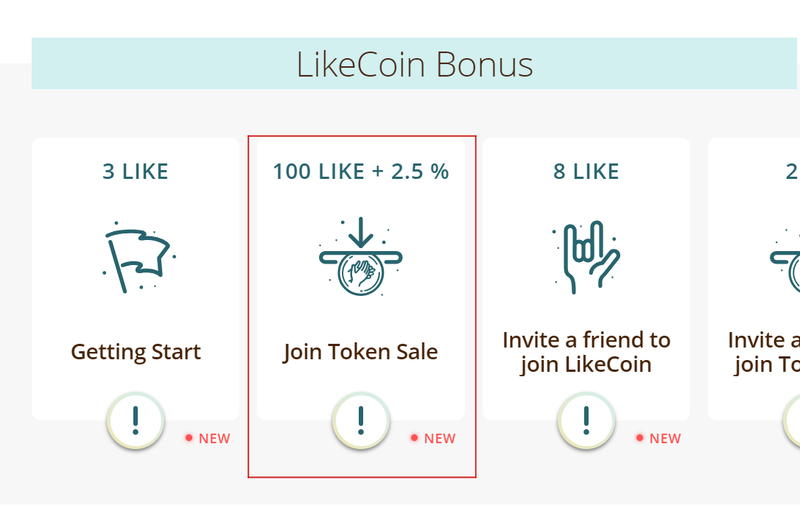 If you are referred by other's LikeCoin ID, you can get 2.5% LikeCoin bonus after joining our token sale on https://like.co/in/tokesale . To check this, just take a look on https://like.co/in . If you see 「100 LIKE + 2.5% 」on the bonus bar, congratulations ! You will get 2.5% LikeCoin bonus. The bonus is treated as mission bonus and you have to claim it. For claiming mission bonus, please check out How to get mission bonus.